Get ready to swoon. Legendary athlete, fashion icon, and man-crush to millions David Beckham has a new neck tattoo and it's most likely a tribute to his daughter Harper. The soccer star got his latest body ink, a single rose stem, right above his other neck tattoos that were also inspired by her. Becks' new neck tat was unveiled by none other than his wife Victoria Beckham on Instagram. The fashion designer and former Spice Girl posted a black-and-white photo of her husband, which shows the new blooming rose tattoo on his neck. Underneath Beckham's new body art is the adorable "Pretty Lady" tattoo that he debuted three months ago along with another tat of his daughter's name on his neck. Both designs were done by Hollywood-based tattoo artist Mark Mahoney, who has also inked other celebrities like Rita Ora. 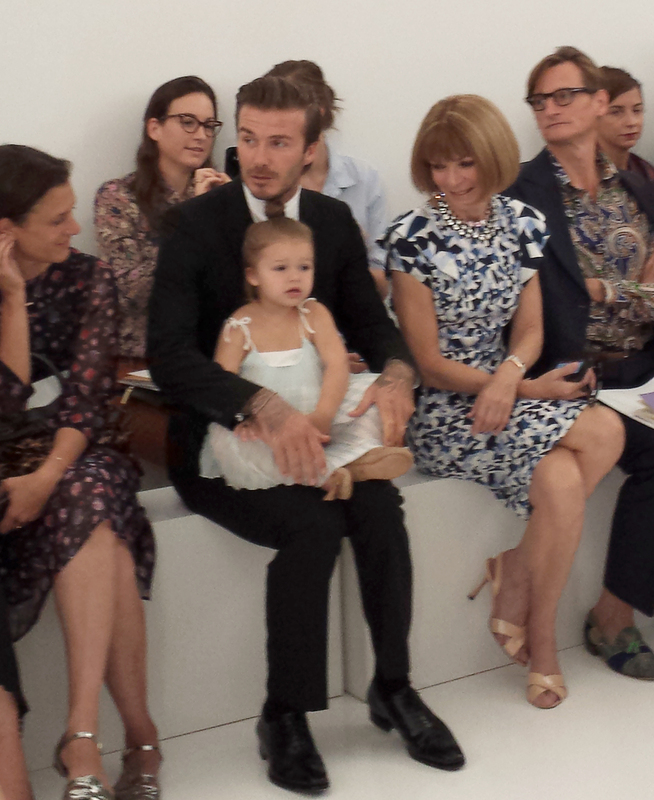 "Just adding to the collecting of tattoos that mean so much to me," Beckham said last July. The rose tattoo's proximity to the other designs dedicated to Harper could mean that it's another tribute to her, but he has yet to confirm the tat's meaning. Among Becks' multiple tattoos that are dedicated to his family are his sons Brooklyn, Romeo, and Cruz's names on his back, Victoria's name on his hand and arm (in Sanskrit), as well as the number 99 on his finger, which is the year that he and Victoria got married. Mrs. Becks has a quote from the Song of Solomon written in Hebrew on the back of her neck. One of Rih's most visible tattoos is a bunch of stars along the back of her neck. Hudgens has a colorful butterfly inked on the side of her neck. The actress and entrepreneur sports a daisy and ladybug tattoo on the back of her neck. Among the filmmaker and humanitarian's several body art are the words "Know Your Rights" written on the nape of her neck. The actress had "Nine" etched on the back of her neck in honor of her then-husband Tony Parker's basketball jersey number. She has since removed the tattoo. One of the Biebs' many tats is the word "Patience" written on the side of his neck.